While it is still far from clear, it may be the North Korean soldiers was therapeutically treated after anthrax exposure. If this turn out to be correct, it suggests that the N.K. regime has not only developed bioweapons, but it is providing vaccines, antibiotics or other protections for its soldiers, suggesting there is a real danger of N.K. use of anthrax in biological warfare. Not content with nuclear weapons, Kim Jong-un is now reported to be weaponizing chemical and biological materials – and, in particular, anthrax – for his ICBMs. That alone tells us very little. What more can we anticipate from such a weapon? Churchill was alarmed not only by intelligence reports coming from the front in Italy (reports that led the US to ship in mustard gas to the port of Bari, which the Luftwaffe bombed, sinking the John Harvey and releasing mustard gas that killed hundreds of military and civilians in the port town), but also by confirmed reports that the Germans had been using poison gas in Russia. 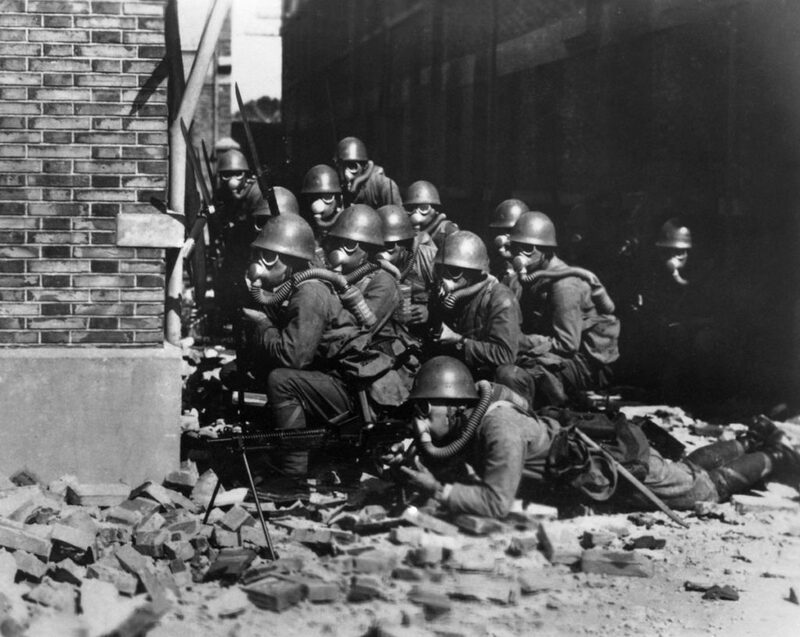 Japan was the first to use anthrax in warfare in World War II, along with many other biological and chemical agents. These weapons were in the hands of the infamous Japanese Unit 731, headed by General Otozo Yamada, the former commander of the Kwantung Army. Unit 731 ran a vast germ warfare complex in Pingfan, a small village outside the Manchurian city of Harbin. Japanese biological weapons included anthrax, botulinum, brucellosis, cholera, dysentery, glanders, meningitis, mustard gas, plague, salmonella, Songo (epidemic hemorrhagic fever), smallpox, streptococcus, tetanus, tick encephalitis, scrub typhus (tsutsugamushi), tuberculosis, and typhoid. The Japanese experimented on prisoners of war and attacked whole cities, setting off the Shinkyo epidemic by dropping infected fleas in porcelain bombs. The Russians put some of the leaders of Unit 731 on trial after the war in 1949, but most received mild sentences and even these were reduced, or prisoners were released. The reason? Unit 731 people were cooperating with the Russians on chemical and biological warfare programs. Similarly, the US covered up Japanese war crimes involving chemical and biological weapons, as Department of Justice letters reveal. The worst outbreak of anthrax was at Sverdlovsk, the Soviet site of anthrax production. In 1979 there was a significant leak there, caused either by a production accident or by sabotage. The anthrax that got into the atmosphere killed over 100 people (perhaps many more – the KGB burned all the records) and thousands of animals in the surrounding countryside. Working to cover up the mess, the Soviets buried victims in lead-lined sealed coffins, resurfaced roadways and put coatings on buildings and structures to trap the anthrax. We know more than the authorities wanted us to about the Soviet anthrax because Russian doctors secretly preserved cadaver samples by freezing. In the 1990s, an international team of experts studied these cadaver samples. They found that the anthrax spores were small, weaponized anthrax material and that there were at least four strains of anthrax mixed together, including the Ames strain, which occurs naturally only in the United States, suggesting successful Soviet espionage. Anthrax as a weapon ideally has to have certain characteristics. It should, first of all, be in dried form and not liquid. Liquid anthrax may not have any great effect, but dried anthrax can be breathed into the lungs of humans and animals. Dried anthrax can be made with very small spores or particles so that it can penetrate clothing and even gas masks. And dried anthrax can be made more effective with silica in aerosols, which enhances the absorptive effect of the agent. The United States works on various chemical and biological materials, especially at Ft. Detrick in Maryland, part of the US Army Medical Command. 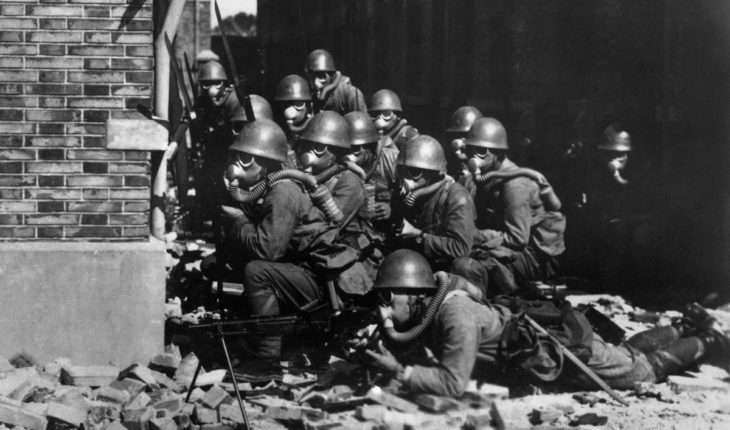 In 1941, the US began investigating biological warfare agents, probably based on what was already known about Japan and its operations in China. The US Army Biological Warfare Laboratory was set up at Ft. Detrick in 1943. That was discontinued in 1969 when President Nixon ordered the destruction of all biological weapons, but research nevertheless continued at the site, focusing on vaccines and antitoxins. Two employees died from anthrax, the first in 1951 and the second in 1958. A third employee died from the Machupo virus after he was bitten by a research animal. Bruce Ivins, a microbiologist at the US Army Medical Research Institute for Infectious Diseases at Ft. Detrick committed suicide in 2008. Ivins was part of the FBI team that investigated the anthrax sent in letters to the Senate’s Democratic leadership in the wake of 9/11. The FBI had some four suspects at Ft. Detrick, but in the end the investigation failed and no one at Ft. Detrick was proven to have mailed anthrax letters to members of Congress or other personalities. Iraq weaponized anthrax for use on both Scud missiles and to be sprayed from tanks on modified MIG-21 aircraft. Iraq was able to produce so-called “dusty anthrax,” which is dried, weaponized anthrax. The country purchased at least two special Niro driers to make the dried anthrax, one of which was captured by the United Nations Monitoring, Verification and Inspection Commission (UNMOVIC). The other disappeared and experts believe it ended up in Syria, where Iraq may have moved much of its chemical weapons capability. Syria also modified MIG aircraft to deliver chemical and biological agents and Iran is reported to be manufacturing weaponized anthrax and other biological agents including encephalitis and “yellow grain,” a variant of Yellow Rain. Yellow grain was developed with the help of North Korea but named as such by the Iranians, has no smell and upon impact will destroy the body’s defensive system. Victims would have a hard time walking or breathing within hours and slowly their digestive systems would be destroyed, likely followed by death within 48 hours. Russian scientists are also said to be helping the Iranians. The Syrian connection opens up a number of possible research doors. Did the Syrian regime continue the manufacture of biological agents such as anthrax after the collapse of the Saddam Hussein regime? We know for sure that Syria was manufacturing nerve gas (specifically Sarin) and used it a number of times. Has the know-how been shared with Iran or North Korea? It is well established that North Korea was secretly building a copy of Syria’s Yongbyon reactor (which Israel destroyed). This reactor was shared with North Korea by Iran and Syria, indicating a common agenda on nuclear weapons. Could Syria and Iran have traded biological weapons know-how with North Korea? Or worse, are they suppliers of such materials to North Korea? It is not unreasonable to think that Iran, Syria, North Korea and Russia have been cooperating on chemical and biological weapons development. Likewise, keeping in mind the Iraq example, it is not beyond the bounds of possibility that the equipment for weaponization of these agents may have come from Western sources, as in the case of Iraq’s two Niro driers. Keep in mind that while Syria was obliged to get rid of its chemical weapons, nothing was agreed regarding biological weapons such as anthrax. It is quite difficult to treat weaponized anthrax. The two methods are antibiotics and antitoxins, although antitoxins are still experimental. The two most common antibiotics are ciprofloxacin (“Cipro”) and doxycycline. They are not perfect. A lot depends on treating rapidly. In the case of an ICBM attack, as North Korea seems to be developing, the effects could be widespread and getting treatment to those affected quickly enough a challenge. Even without testing samples of North Korea’s anthrax, it is very likely that it is fully weaponized thanks to the country’s ties to Syria, Iran and Russia. If Kim Jong-un is successful in designing an effective reentry system for his ICBM and can disburse anthrax before the missile strikes the ground, he will have yet another weapon of mass destruction in his arsenal. South Korea and Japan had best stock up on antibiotics.